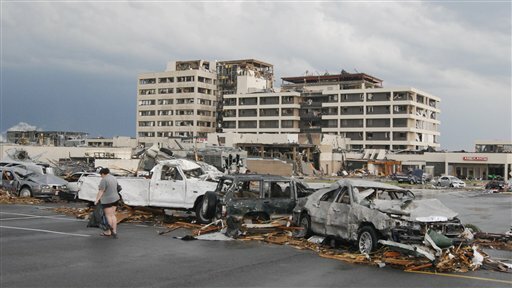 Of Sunday night's twister in Joplin, Missouri, Red Cross spokesman Michael Spencer told the AP: "I've been to about 75 disasters, and I've never seen anything quite like this before." Indeed, the images and raw footage that document the devastating storm speak volumes about the intensity of the destruction it has caused. 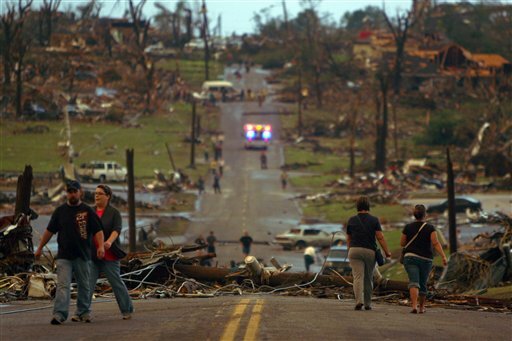 (As much as 30 percent of the city has been damaged -- with many areas destroyed outright.) Here are some of the most gripping images from the storm's aftermath (scroll down to see video). 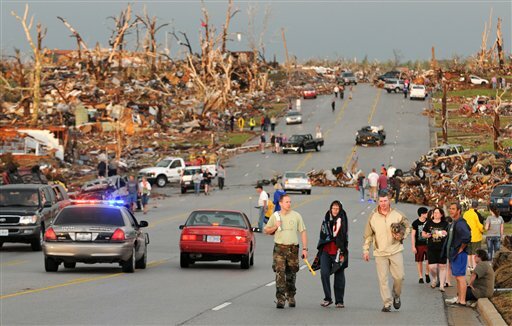 Residents of Joplin walk west on 26th Street near Maiden Lane. 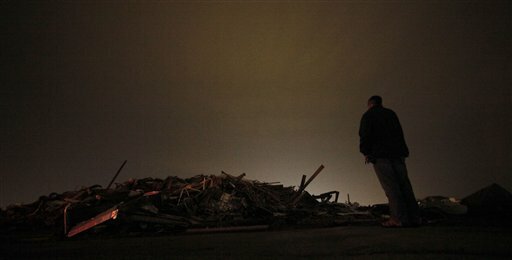 Pepsi-Cola employee Mark Johnson looks at the wreckage of the Pepsi bottling plant that was destroyed by the tornado. 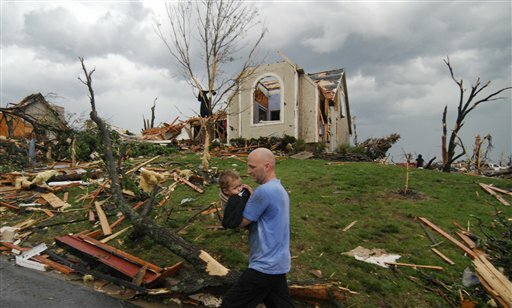 A man carries a young boy who was rescued after being trapped in his home. 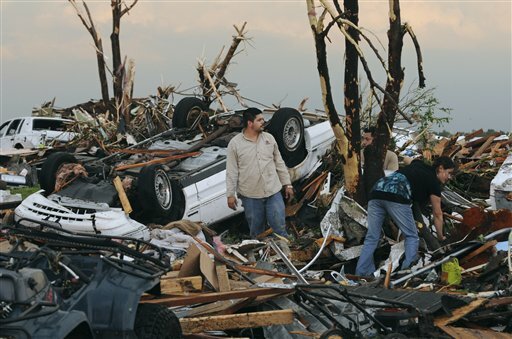 Residents begin digging through the rubble of their home. 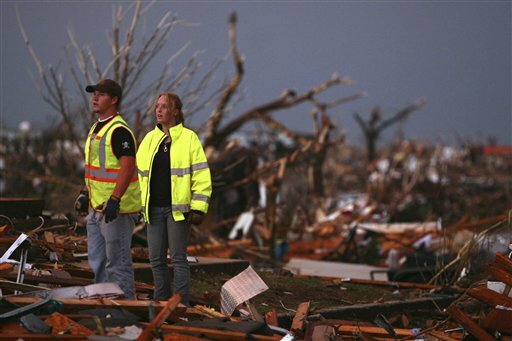 William Jackson, left, and Ashley Martin, volunteer firefighters from Oklahoma, survey the wreckage of destroyed homes. People walk down a residential street lined with rubble. 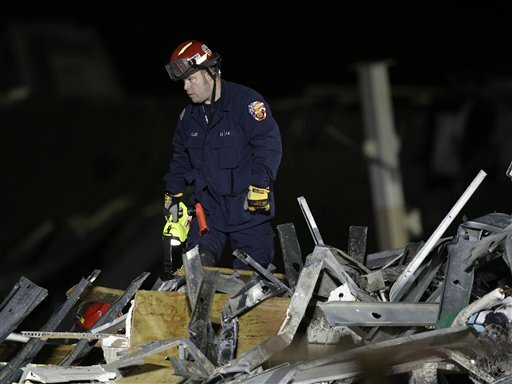 An emergency worker searches through the wreckage of the Joplin Walmart. Damaged vehicles litter the parking lot of St. John's Hospital.